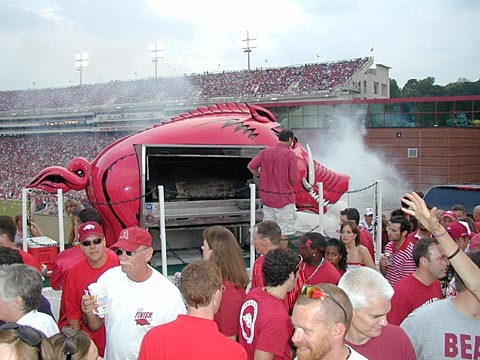 Hog Wild – Jay Luker – Really? ... Wow. Except imagine that crowd spread in a radius of 1/2 mile around the stadium. Our seats, FYI, were about 10 rows down from the top, right below that middle light pole. I wish I could say I got to try some of those ribs, but we’d already feasted on some delicious tailgate fare provided by a friend of my Dad’s. 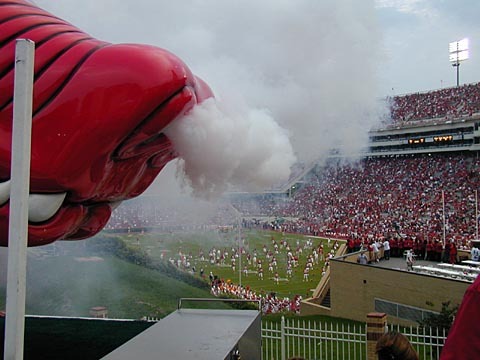 Final score: USC Trojans 50, Razorbacks 14. Thanks to Uncle Joe & Melva for the tix.